What do you need to live your best, most fulfilling life? Enjoy chef-prepared, restaurant-style meals, housekeeping, laundry, transportation, maintenance, 24-hour staff supervision, complimentary wi-fi, cable, and all utilities. Assisted Living units include studios, 1- and 2-bedroom suites with a full bathroom and a kitchenette equipped with a refrigerator, microwave and sink. 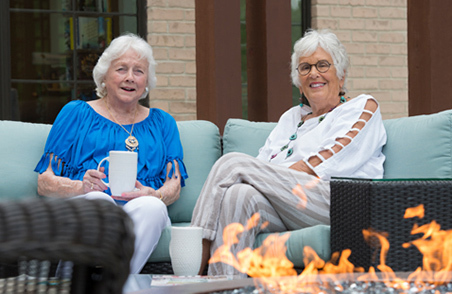 At Lakeside Assisted Living, you can maintain an independent lifestyle while receiving the care that you need to engage in the lifestyle you enjoy. 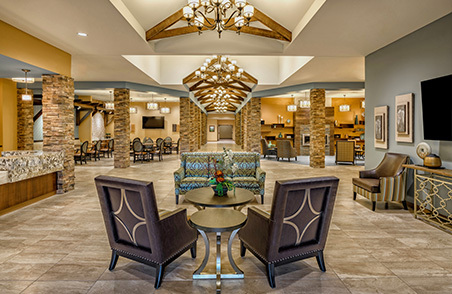 Lakeside Assisted Living includes Edie’s Place, a dedicated, 40-suite memory care unit, thoughtfully designed to support those coping with Alzheimer’s or dementia. Residents will feel safe and comfortable in their environment while enjoying the full amenities of the facility. Nurses and caregivers are available 24 hours a day to provide personal and medical care and communicate with your physician to effectively manage your health care. 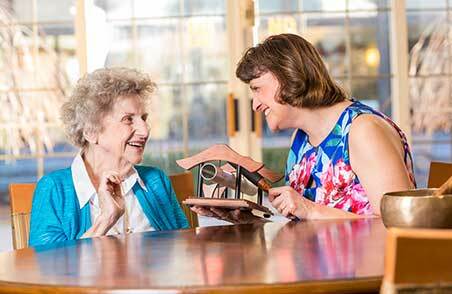 Edie’s Place is designed to welcome residents out of their rooms and into our beautiful community spaces to enjoy specialized activities from Certified Dementia Care Practitioners.